Have you always wanted to learn how to speak French but simply didn't have the time? Well, look no further. This is the most advanced and revolutionary method that was ever designed for quickly becoming conversational in a language. In creating this time-saving program, master linguist Yatir Nitzany spent nearly three years examining the 27 most common languages in the world and distilling from them the 350 words that are most likely to be used in real conversations. These 350 words were chosen in such a way that they are structurally interrelated, and when combined, they form sentences. Through various other discoveries about how real conservations work, that are detailed further in this book, Nitzany created the necessary tools for linking these words together in a specific way so that you may to become fluent now. If your desire is to learn complicated grammatical rules, or to speak Shakespearean French, this book is not for you. 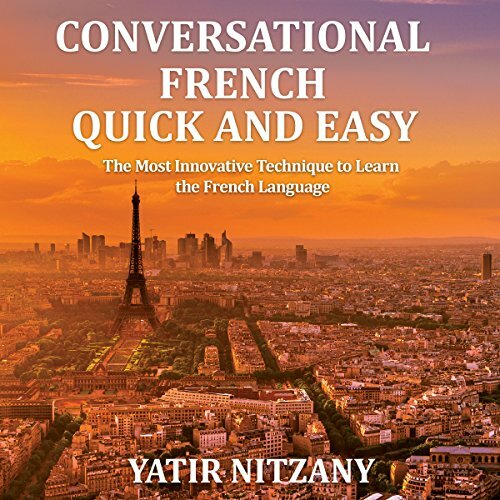 However, if you need to actually hold a conversation while on a trip to a French-speaking country, to impress that certain someone, or to be able to speak with your grandfather or grandmother as soon as possible, then the Nitzany Method is what you have been looking for. This method is designed for fluency in a foreign language, while communicating in the present tense. Nitzany believes that what's most important is actually being able to understand and be understood by another human being right away. More formalized training in grammar rules, etc. can all come later. The first in a series of instructional language guides, the Nitzany Method's revolutionary approach is the only one in the world that uses it's unique language technology to actually enable you to speak and understand native speakers in the shortest amount of time possible. No more depending on volumes of books of fundamental, beginner, intermediate, and advanced levels, all with hundreds of pages in order to learn a language. If you could sum up Conversational French Quick and Easy: For Beginners, Intermediate, and Advanced Speakers in three words, what would they be? Yes of course !!!!!!!!! I listened to it several times in one sitting because I liked it so much. I have learned some Italian while I was living in Florence.I was kind of forced to learn it since few people there speak English or Spanish.. Back in Europe I listened to people talking French all the time but I was always scared to try to learn French since their accent seemed very marked.Now that I was able to hear this audio book, I must say that his modern style of learning a new language (using 350 words that are most likely to be used in real conversations) is very simple.The fear of speaking French is gone !!! I can say what time is it? Quelle heure est-il? i need to be there at night.Je dois être là la nuit and so on.Once you repeat the words over and over and put sentences together, you feel confident to speak French!!! It is the best purchase I have made!!! I recommended highly.Definitely a 5 Star book!!!!! great value with little money. this books is really useful, it delivers exactly what it promises to do which is making you become conversational. it's really good for those who want modern spoken french to be able to speak in french like natives. definitely recommended for those who want to travel or work in a french speaking country as it will totally remove the language barrier. Great Guide for Conversational French! A useful and handy book for learning conversational French. Recommended to anyone looking to learn the language. Effective material! 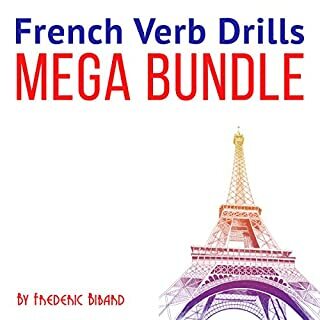 Initially upon opening it, it seemed very clear and easy to understand for conjugating the verbs and in order to create the sentences it's also very helpful. 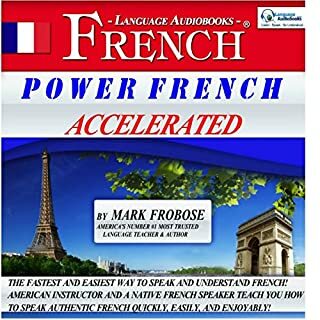 This is the best French audiobook I ever encountered! I highly recommend to anyone who wants to pick up the language quick, this technique of Nitzany utilizes the 350 most common words to help you communicate fast. 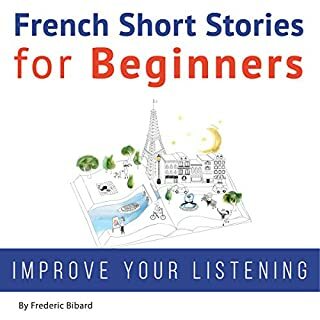 Would you consider the audio edition of Conversational French Quick and Easy: For Beginners, Intermediate, and Advanced Speakers to be better than the print version? 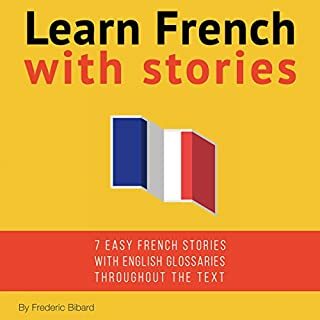 What other book might you compare Conversational French Quick and Easy: For Beginners, Intermediate, and Advanced Speakers to and why? What about Amanda Parrotte’s performance did you like? I’m satisfied and will be learning a lot from this. Thank you. Merci. Method useful, beneficial, and easy to use. I speak some French so this will be good. 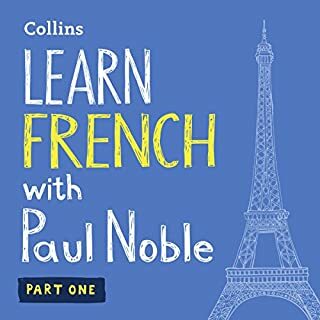 Where does Conversational French Quick and Easy: For Beginners, Intermediate, and Advanced Speakers rank among all the audiobooks you’ve listened to so far? It's fabulous. I'm so glad I downloaded this -- its everything I hoped for and more! Thank you for this great audible! 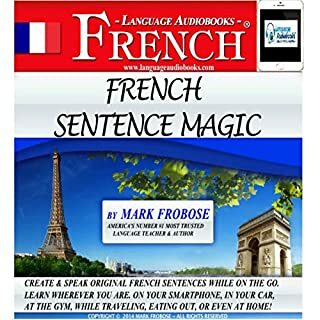 A great book to learn French. Extremely thorough and also quite comprehensive. The audio has been very useful. All around, a great book for both the beginner and intermediate students who wants to pick up some of these amazing techniques.